We’ve had over a month of incorrect weekend weather forecasts (take this with a grain of salt), but the wind is supposed to absolutely howl in the offshore waters on Saturday. Yeah, I’m a bit dubious myself. Earlier they were calling for 25 knots of wind on the beach Saturday and as of now (Wednesday) they’ve downgraded it to less than 10 knots all day. So while rockfish trips to the islands may be off the table for this weekend, I wouldn’t cancel any local fishing trips based on the wind forecast. So, with my weekly weather disclaimer out of the way, let’s take a look at our fishing options. 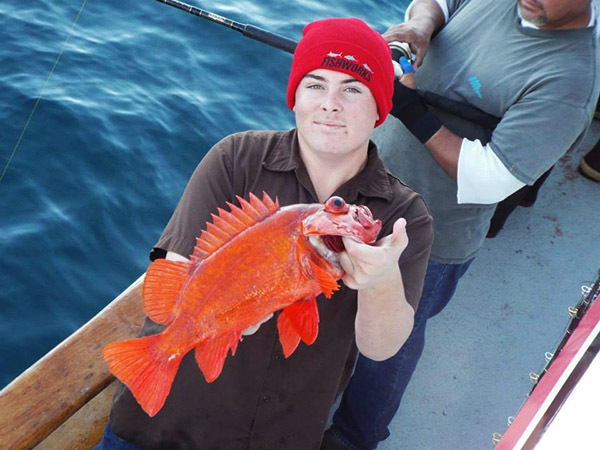 The rockfish bite out of Ventura continues to be incredible and the boats making the run to Santa Rosa are destroying the big rockfish. At the time of this writing, the wind is blowing 28 MPH at Rosa and it’s forecast to remain windy through the weekend. The bottom line is that even if the boats are running up there this weekend, it’s going to be rough and windy at best so you’re really better off waiting for the weather to straighten out before planning a trip. Another island that’s been kicking out some excellent rockfishing is San Nicholas. The El Dorado out of Long Beach Sportfishing has been running overnight trips there whenever the weather permits. 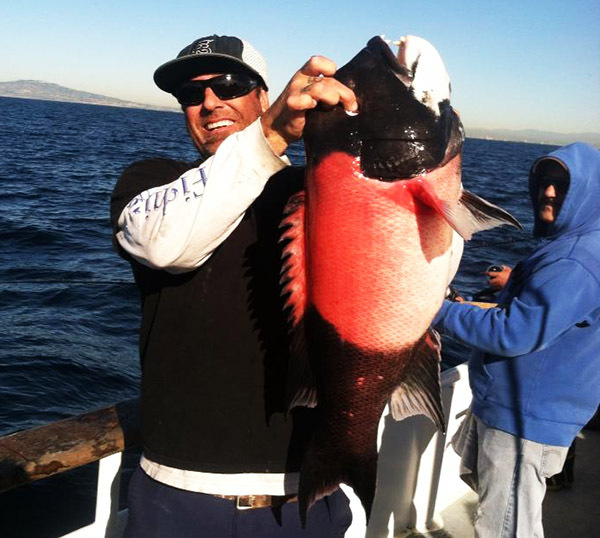 If you live in the LA area and are looking to catch some rockfish, these trips are a great option. Because the island falls within the Cowcod Conservation Area, you’ll be fishing water shallower than 120 feet (so bring the light tackle) and the law now allows shelf rockfish to be kept (including reds) in the CCA. There are a few different overnight boats that are running the occasional trip to San Nic. But if I were going, I’d jump on the El Dorado as they’ve been running a lot of trips and have had a chance to dial in the bite at the island. I just wouldn’t do it until the weather improved out there. Closer to home, the Enterprise out of Marina Sportfishing has been doing really well on big reds and other rockfish on their 3/4 day trips. 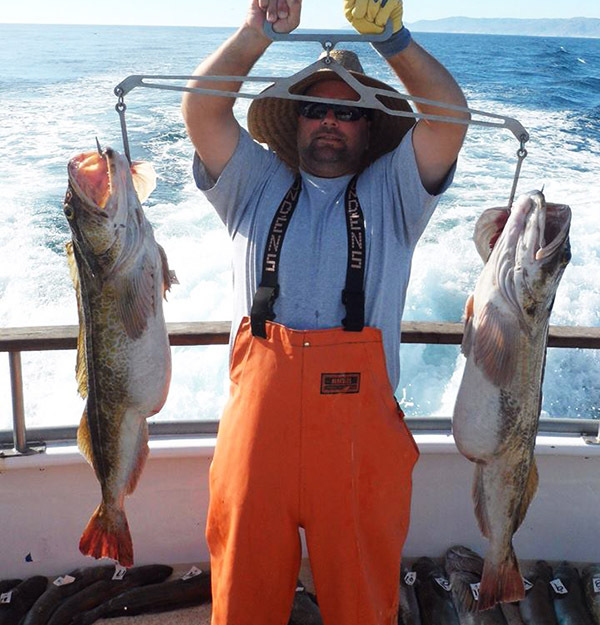 Last weekend’s trips brought in reds, lingcod and big sheephead. 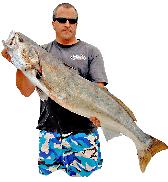 These trips give you a chance to catch some bigger fish without the long boat ride, but you’ll be fishing in deeper water than you would on the island trips. So make sure to bring bigger sinkers and reels that have enough line to fish up to 300 feet effectively. Private boaters are probably going to want to stay close to shore this weekend, as the wind waves will be a factor. 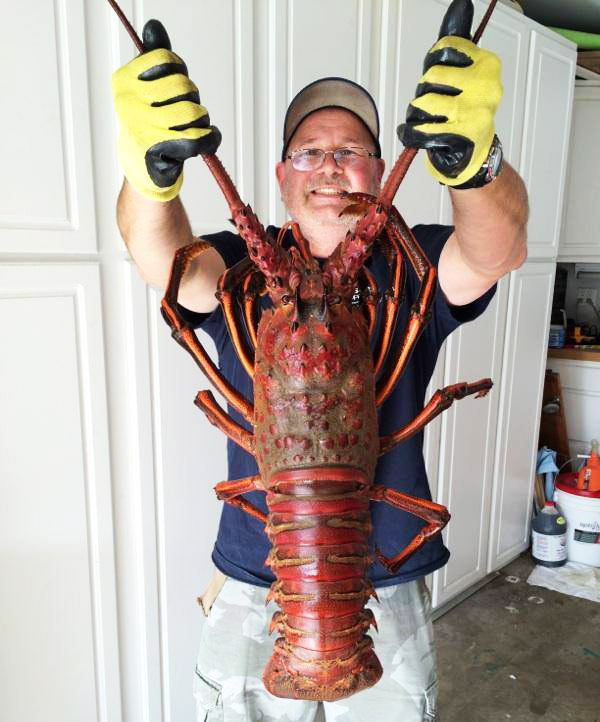 The best two options close to home are hoop netting for lobster or fishing spotted bay bass in one of the harbors. The lobster have been crawling pretty well the last few weeks and we’ve got a lot of tidal movement early in the evening this weekend, so this weekend looks like a prime time to hoop net. 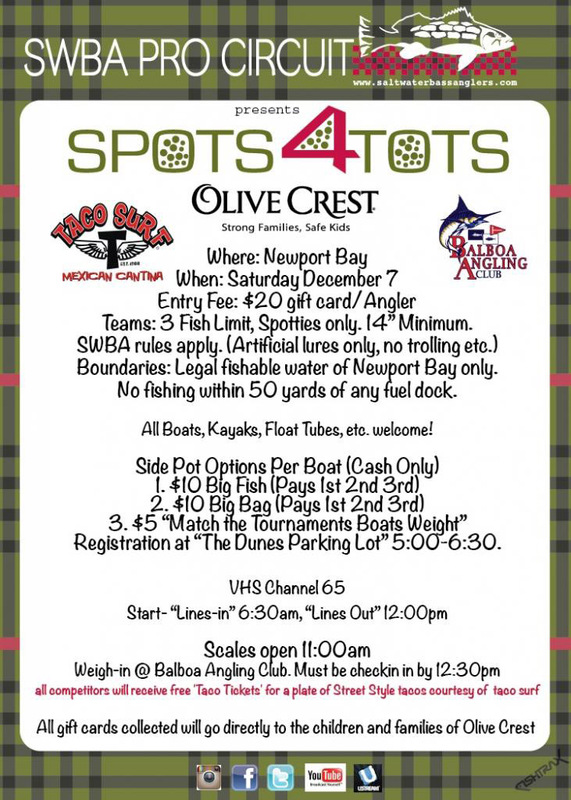 If you’re thinking about going spotted bay bass fishing, why not head down and fish the SWBA Spots for Tots Charity Tournament in Newport Harbor this Saturday. The event is open to anyone with a boat, kayak or float tube and the cost to enter is a $20 gift card that will be donated to Olive Crest Charity. This is a fun day of fishing for a good cause and is kid friendly, so if you’ve wanted to check out the SWBA Tournament Series this would be a great time to do it. Whatever you decide to do this weekend, keep a close eye on the weather and be safe!